But I believe the price of natural gas could DOUBLE in the next three months. The theory behind my call is simple. All that is required is just a couple months of colder than normal weather. And the best part… Investors that are positioned correctly could soon see a sizeable payday. As of today, the amount of natural gas we have in storage is almost 20 percent below the five-year average. In fact, storage levels have been below normal all year. While in the summer that isn’t a big problem, in the winter it could quickly become one as an extended cold snap can drain storage in a hurry. If that happens this year, we are going to go from 20 percent below normal storage levels to levels CRITICALLY below normal. The market has yet to get too fussed about this low level of storage. It isn’t hard to understand why — everyone knows that we have an abundance of shale gas resources in the United States which can be used in substitute. And I agree. In the long-term I find it very difficult to believe a bullish natural gas price story. However, the short-term is different. The market is greatly underestimating the potential for a natural gas price spike this winter given how low storage levels currently are. So how did we get to this point where storage is so far below the five-year average despite our abundance of shale gas? It is not a supply issue, because shale gas production is still booming. This pull on natural gas inventory levels is all about demand. A cold April and a hot summer have not allowed natural gas inventory levels to build as they normally would. In addition to those weather influences, demand for natural gas continues to surprise to the upside from both industrial and power generation businesses. Our last really cold winter was 2013-2014. That year we went into winter with 3.82 trillion cubic feet of natural gas in storage. By March 2014, U.S. residents cranking up the heat had drawn that storage level down to just 750 billion cubic feet.1 A drop of 80% in just a few short months. 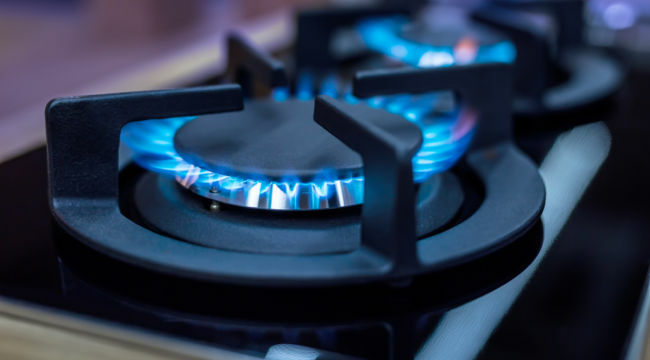 In response to that inventory drawdown, natural gas prices went from just over $3 per million cubic feet at the start of winter to $8 per million cubic feet in March— not far off tripling! This winter we are going to start things off with just 3.29 trillion cubic feet of natural gas in storage. That is considerably lower than where we were in the fall of 2013 (or any other winter in recent memory). If we were to have a winter similar to 2013-2014 — and we again pull inventory levels down by 3+ trillion cubic feet — our natural gas storage levels aren’t going to be low… they’re going to be almost nothing. So if natural gas almost tripled when inventory levels were drawn down to 750 billion cubic feet, just imagine the fireworks that would happen if we almost drain storage entirely! With storage at current levels, we are one unusually cold blast of winter weather away from taking natural gas storage levels down to a level that would panic the market. And there is one company that I believe holds a strong advantage when it comes to profiting off the unusual circumstances in today’s market — one whose stock should do FANTASTIC if the price of natural gas does spike… and should still perform well even if my prediction doesn’t come true.